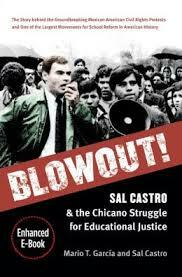 Sal Castro, a lifelong educator and a leader in the 1968 “blowouts” that occurred in Eastside Los Angeles schools, died of cancer on April 15, 2013 at 79 years of age. More than 1000 people gathered to eulogize him. In 1963 while teaching at Belmont High School Castro got into trouble for supporting Latino students who wanted to run for student body offices. When they gave their campaign speeches, they were disciplined for speaking Spanish, and when Castro defended them, the school district transferred him to another Eastside school, Lincoln High School in Lincoln Heights. Although he was “given” five different courses in five different buildings, he still managed to sponsor students in a variety of events. He also helped them organize protests over unequal learning conditions for minorities. Students were demanding curricular and textbook changes which would reflect their history and culture. Bilingual education was also a key demand. They also called for more Mexican American administrators and teachers. And they wanted the counselors to stop shunting them into the Industrial Arts Program and discouraging them from college prep classes and professional careers. Furthermore, students were affected by the high minority death toll in the Vietnam War and the Chicano Civil Rights movement. When the students walked out, Castro joined them. 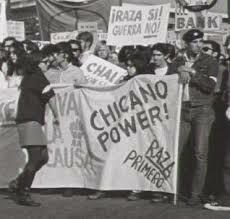 This walkout spread to Roosevelt, Wilson, Garfield, and Belmont and became known as the “Chicano blowouts.” (Chicano was a relatively new term at that time.) The protests lasted a week. Castro was arrested and charged with disrupting schools and disturbing the peace. He was indicted on 30 counts and removed from Lincoln High School. 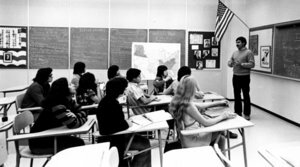 Although the State Supreme Court dismissed the charges, the Los Angeles Unified School District punitively relocated him to three different high schools before returning him to Belmont in 1973. Castro retired in 2003 after 42 years as a classroom teacher and has since been recognized by numerous agencies and organizations. On the Belmont campus a middle school was named after him. Sal Castro is a fine example of the best that came out of the sixties and seventies.